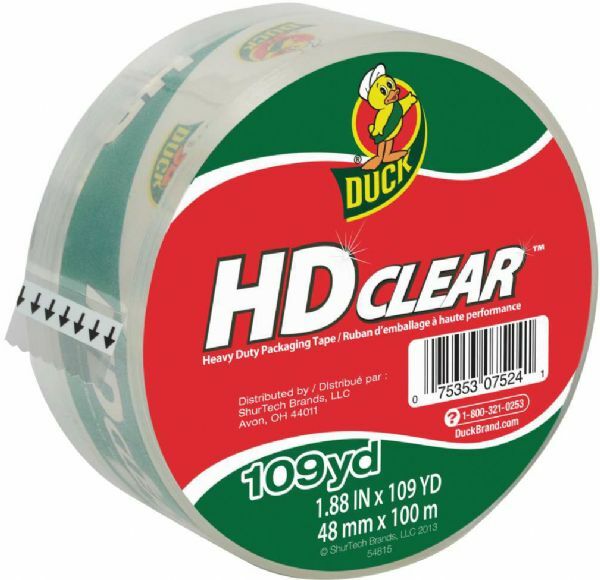 Crystal-clear packaging tape has 2.6 mil thickness for heavy-duty box sealing. * Designed for a wide temperature application range. * Ultraviolet resistant to reduce aging and yellowing. * 1.88" x 54.6 yards. 4.25" x 4.25" x 1.88"